For many centuries, ancient cultures have used ginger to heal a variety of health ailments due to the powerful antioxidants present in this amazingly versatile root. Ginger originated in China, and belongs to the Zingiberaceae family, which includes turmeric, cardamom, and galangal as well. The rhizome, or the part of the stem found underground, is the portion of the plant most commonly used in natural remedies. 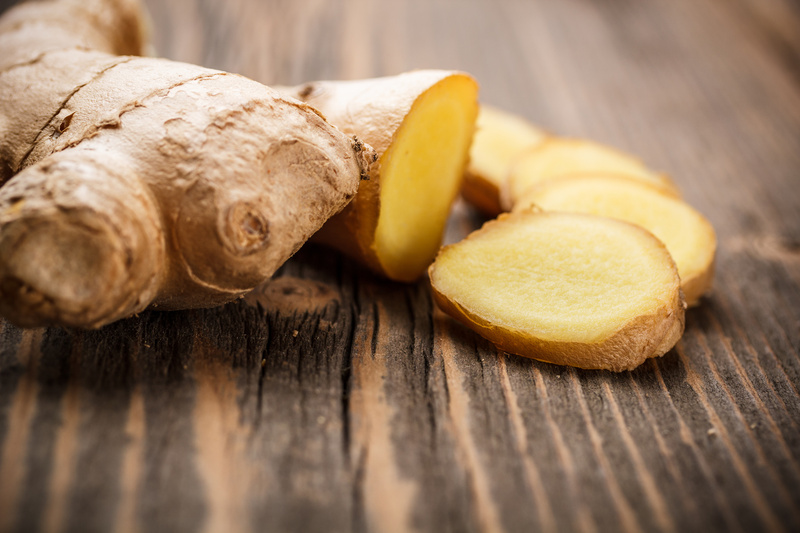 Apart from the zesty, delicious flavor of ginger, it can provide many health benefits that all of us should be aware of. 1. 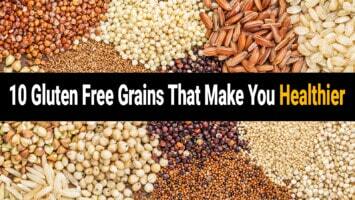 It contains many antioxidants and anti-inflammatory properties. First of all, ginger contains powerful antioxidants, which can eliminate the oxidation of cells and help prevent free radicals from populating in the body. Gingerol, the main bioactive compound in ginger, contains some of the highest levels of antioxidants on the planet. 2. It can help ease nausea, including morning sickness. Ginger has long been touted as a wonderful remedy for many types of nausea. Just 1-1.5 grams of ginger could help prevent nausea, especially in pregnant women experiencing morning sickness. Many studies have proven the effectiveness of using ginger for nausea, including for seasickness, and in many cases it works just as well as prescription medications. 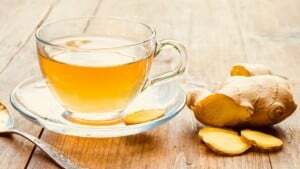 In addition to preventing seasickness and morning sickness, ginger may also ease nausea and vomiting following surgery, as well as in cancer patients in chemotherapy. If you feel nauseous, you can try drinking ginger tea or making a ginger soup in order to reap the benefits of this wonderful plant. 3. 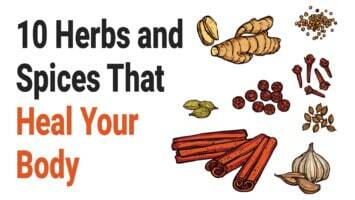 Ginger can aid with digestive issues. Ginger appears to be a catalyst in emptying the gastrointestinal system in those who experience regular digestive issues. In one study, 24 participants who consumed 1.2 grams of ginger powder prior to a meal had a 50% faster rate of digestion than before. If you have regular stomach discomfort and digestion problems, ginger can greatly aid with these issues. 4. Ginger may give women relief from menstrual pain. Many cultures have used ginger as a general pain reliever, but more specifically, it can help reduce painful menstrual cramps in women. In one study that included 150 menstruating women, they all were given 1 gram of ginger powder each day for the first 3 days of their period. Afterwards, they reported the same reduction of pain that they felt after taking ibuprofen or other pain relievers. 5. It contains powerful cancer fighting substances. The substance gingerol that we mentioned in point #1 has been proven to be effective in fighting off cancerous cells in a limited number of studies. 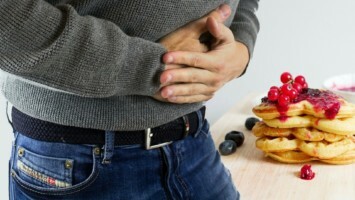 For example, in a study of 30 people, ingesting 2 grams of ginger extract per day proved to decrease the number of pro-inflammatory molecules in the colon. Other studies have shown that ginger extract can fight pancreatic, breast, and ovarian cancer, but more research must be done to further support these findings. However, it’s clear that ginger can effectively lower inflammation, but the extent to which this occurs needs to be tested more thoroughly. 6. Ginger can help fight infections and boost the immune system. Ginger can prevent the growth of many different types of bacteria, including bacteria found in the gums and gut. This helps to strengthen the immune system in the long run. 7. It may help prevent Alzheimer’s disease. In some exciting new findings, studies have shown that ginger could improve brain function and memory in middle-aged women. A multitude of other studies have also shown that ginger could help prevent age-related decline in brain function, plus prevent inflammatory responses in the brain. 8. Ginger can help lower cholesterol and blood sugars. Finally, ginger can improve your health by lowering cholesterol and blood sugar levels, both of which can cause a significant deterioration in health if not taken care of properly. High levels of LDL cholesterol have been linked to a greater risk of heart disease; however, a 45-day study of 85 people with high cholesterol showed significant decreases in cholesterol levels after taking 3 grams of ginger powder per day. In addition to lowering cholesterol levels, ginger may also reduce one’s risk of getting diabetes. A recent study of 41 individuals with Type 2 diabetes found that just 2 grams of ginger powder per day lowered their fasting blood sugar levels by a whopping 12%. Also, their HbA1c blood sugar levels decreased by 10% over a period of 12 weeks, along with a 23% reduction in levels of oxidized lipoproteins.